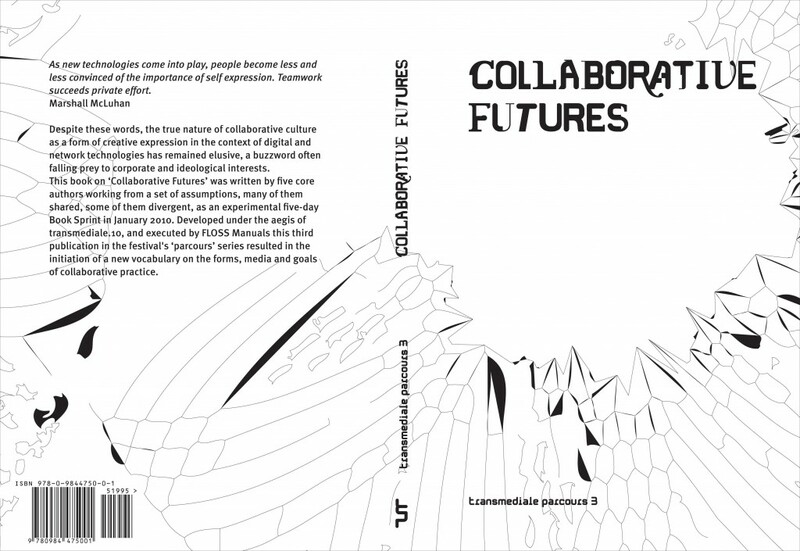 Collaborative Futures is a book about free collaboration written collaboratively over five days during the 2010 Transmediale Festival. During the festival, I worked around the clock in a Berlin hotel room with five other writers and one programmer to write a book about the future of free collaboration; we started the process with only the title, and ended the week with a book. The Collaborative Futures book sprint was facilitated by Adam Hyde of FlossManuals.net and authored by Mike Linksvayer, Michael Mandiberg, Marta Peirano, Alan Toner, Mushon Zer-Aviv, and several additional collaborators using the Booki software (booki.cc) by Aleksandar Erkalovic.